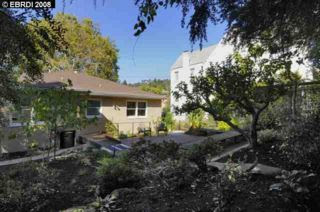 This 1952 ranch house in North Berkeley was my favorite home from last Thursday's Broker's Tour. (Broker's Tour for the East Bay is every Monday and Thursday; the tour is for Brokers and Realtors view new listings for their clients.) This home is sunny with spacious rooms and great outdoors spaces. The kitchen is clean and cheery, I can almost imagine a homemaker preparing banana and vanilla wafer pudding on the counter while a school girl completes her homework in the breakfast nook during the 1950's. 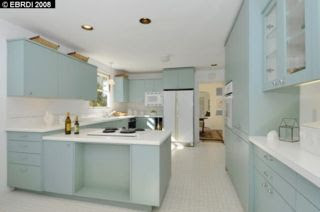 This mid-century home is located in one Berkeley's best neighborhoods on Virginia Street. A few blocks about Shattuck on a tree lined street, walking or biking distance to Chez Pannise, Peet's Coffee, Andronico's Grocery and Elephant Pharmacy and more. 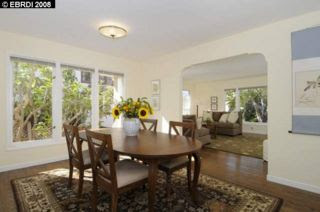 This 1600+ square foot 2 bedroom, 2 bathroom home is listed by Pacific Union for $775,000. Photos are courtesy of Jack McPhail. 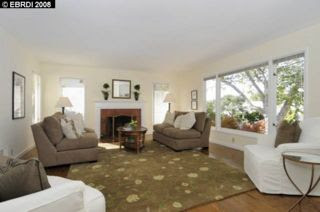 I am happy to schedule an appointment for a private showing of this property.